When an Oregon valley famed for its wine heats up under the afternoon sun, Pacific Ocean winds rush through a dip in the mountains, cooling the grapes in Jeff Havlin’s vineyards. The Van Duzer Corridor, the lowest point in Oregon’s Coast Range, has become a go-to place for wineries and vineyards hedging their bets against climate change. 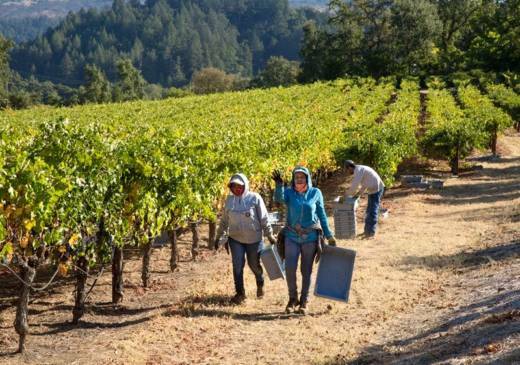 Winemakers and vineyard owners in a 95-square-mile (246-square-kilometer) section of the corridor have applied to become the newest American Viticultural Area, with the wind its predominant feature. Greg Jones, one of the world’s authorities on climate change and wines, will be there this summer as a keynote speaker at the VitiNord wine conference, which will examine cooler-climate wine production. Sixteen cool climate regions warmed by 2.52 degrees Fahrenheit (1.4 Celsius) from the late 1800s through 2015, Jones noted at an earlier conference. Now, “we’re in the sweet spot,” Jones said in his office in Linfield College in McMinnville, Oregon, where he is director of wine education and a professor of environmental studies.